The signs are clear. 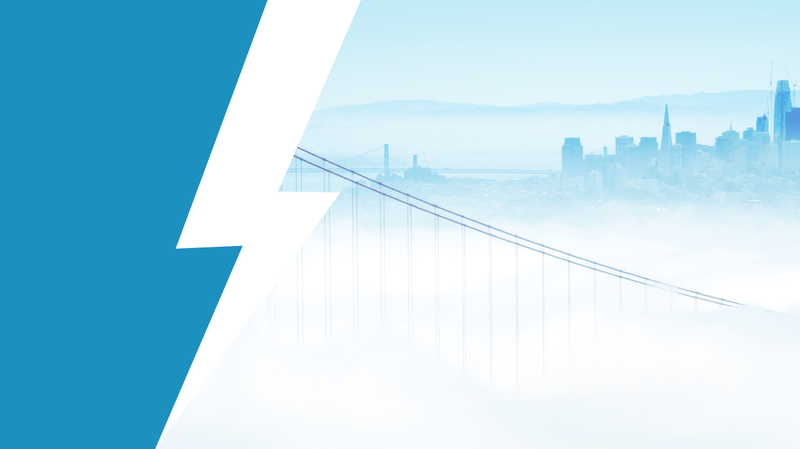 Salesforce Lightning is finally ready for primetime — and that means the Classic view days are numbered. We’re not saying it’ll be gone tomorrow. (In fact, we even said recently that Classic won’t be going away anytime soon.) We are saying, however, that based on the Spring 2018 Release that Salesforce is moving forward with Lightning in a big way. Inevitably, that also means Classic will be taking the back seat. You can just look at the Salesforce Spring 2018 Release notes to know Classic is on the way out. You might not have read the 522-page document, but some people have — like CBT Nuggets Salesforce trainer Jamie Grettum. This document is a great look into the collective minds of the Salesforce development team. We unpack what some of the themes and announcements might mean for the future of this application. This is more of a shove than a subtle hint: The developers are ready for the Lightning interface to take over the reins, and they are pushing users to take up the new design and start putting it to work. Customization is the name of the game here, and the developers have gone to great lengths to design an app builder that is user-friendly and easy to pick up as you go. The app builder demo gives a small taste of what is possible to create, which means that anybody who is using the app could potentially design their own components for their specific industry and clientele. All of this additional functionality comes with the same back-end integration with Salesforce Cloud Infrastructure and support, so although this looks and acts like a new product in many respects, it still feels like a Salesforce creation. Lightning Sync was one of those missing links from the earlier releases — and we do mean missing link. Sync keeps your contacts and events, well, synced between Microsoft Exchange and Salesforce. It still doesn’t sync recurring events or delete contacts in one action, but the (sales)people spoke up when they noticed its absence in previous releases. Lightning Sync gets a hefty mention in the release notes, with Google Sync, Microsoft Exchange, and a few other key business tools all benefiting from the new technological innovations developed inside of Lightning. As we have perused the contents of the Salesforce Spring 2018 Release Notes, we can reliably inform you that the changes that are being implemented within Salesforce are heavily skewed toward Lightning. Luckily, Salesforce consistently used certain phrases to indicate changes. Here’s the breakdown. This supports the notion that Lightning is the interface destined to take the company forward. With that said, they’re still maintaining the Classic platform, which it made so popular back in the early 2000s. In the meantime, Classic still has plenty going on. There are many under-the-hood tweaks made in recent months, and Lightning is looking better and better with every release. If you refer back to the table above, you’ll notice that Salesforce only pushed 10 “Classic Only” changes with this release. We can see that the bulk of Salesforce’s development team and resources are being plowed into Lightning. Both Lightning and Classic are on a parallel development path for plenty of housekeeping items. This is great news for fans of both the new and old interfaces. Salesforce recognizes that Classic will be the preferred choice for a while, but you should start looking at how to craft a new CRM strategy with Lightning. We had a blast at Dreamforce 2017. In all, we had half a dozen people go see Alicia Keys and Lenny Kravitz (and attend sessions, too). In any case, we noticed a few things, namely that the entire event was focused heavily on Lightning Experiences. No subtly there. It drove home the point (as if they needed any more clarity on their stance) that Lightning is here, and here to stay. Lightning Launchpad: This was a section of the event that had a digital interactive game that tied into the Trailhead training program, as well as a demo of the Lightning Customization area. Lightning Ambassadors: These highly trained consultants were on hand to consult anyone who is planning to make the transition from Salesforce Classic to Lightning, explaining why this would offer a better experience overall. Build with Lightning: This was a very informative section of the event where developers could drop in and gain knowledge from the programming team from Salesforce’s Lightning interface. Attendees got the chance to participate in Mini Hacks and Quests, all while learning about the building process within Lightning. Lightning Sessions: Lightning Adoption was a really big theme within this section, and these sessions can still be accessed via the Dreamforce.com website. Simply log in, go to the ‘Personalized’ link, select ‘Lightning Adoption’ and all of the Lightning sessions will be available to you in a single list. There were many more Lightning-titled and -themed areas within the conference, but you get the picture. Finally, we’d be remiss to not point to a meeting of the titans. This is a powerhouse combo if ever there was one: The king of CRM has teamed up with global behemoth Google to deliver an all-encompassing package that will help companies maintain communications with customers and strengthen their partnerships with affiliated businesses and suppliers. Google encourages the use of Salesforce Lighting for Gmail and Google Sheets as a means to surface relevant CRM data within Gmail, and then export these interactions directly to Salesforce. Data is also shared between Salesforce Records, Reports and Google Sheets, making unified data something that all salespeople can rely on, with the added benefits of Google Analytics and other services. Though many Classic veterans might disagree, the emergence of Lightning isn’t a bad thing. There is a well-founded notion amongst innovators of any field: The old must be dispensed with in order to give rise to newer and better products, techniques and practices. And let’s face it, the writing is on the wall. Classic is fading away — fast.